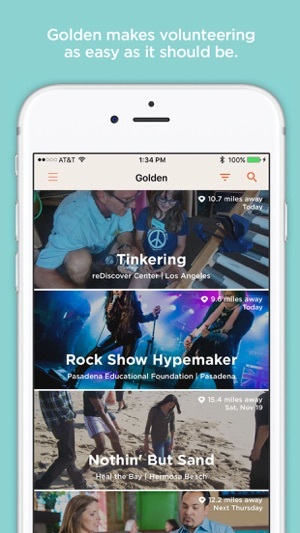 Golden is no ordinary community service app or volunteer app. Create Golden Moments by searching volunteer opportunities. Go from volunteering to volunteered. Find opportunities near you, based on capacity and organizers' schedules, or take part in the Treasure Hunt to get organizations in your area on to Golden! 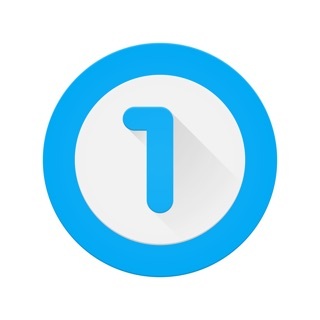 Be one today and explore the causes, generosity, nonprofit jobs, and volunteer opportunities. Start giving back by becoming part of your favorite charities and organizations. Forget everything you think you know about volunteering. Discover experiences you’d want to. Be doing regardless of how they’re labeled. Find new ways to have fun with your friends, and meet new ones. It’s easy. Golden also gives you credit toward community service requirements. Golden’s simplified and easy to use experience helps volunteers explore new volunteer opportunities. This is also the best app for anyone to run an instant, secure, portable background check. Use it for your favorite non-profit or even vet a new roommate! We work with over 2000 of the top companies, nonprofits, and community service influencers. Our volunteer specialist vets each volunteer opportunity. This allows Golden to provide only the best volunteer opportunities available. Volunteering is an excellent way to meet new people and explore your generosity. Each time you choose to volunteer, you can invite you friends and family to volunteer with you! Download, Login, and find your perfect Golden Moment. You split the listing section into three very short sections, with the third being “vibe.” First of all the character limit is incredibly short for the first two sections, I can’t even get 1/3rd of the information I need in there. Also, I’m a millennial and I have to say the “vibe” section is incredibly lame and a weak approach at trying to seem hip to set yourselves apart from the competition, not to mention you can only fit, what, 60 characters? The time section is annoying as well, lots of opportunities are ongoing and at random intervals and don’t have a set timeframe, not allowing me to continue without setting a timeframe is infuriating. Pardon any grammatical errors this was written from my phone, but I seriously hope you take these suggestions into consideration because the app itself is a good concept but the execution certainly needs work. Deleting the app for now but will hopefully be back later on when things have been fixed. Hi there - thanks for your note. We very much appreciate your feedback because we constantly are working to better serve your needs. 1. We keep the initial sections short based on analysis showing that volunteers are 55% more likely to sign up for Opportunities with descriptions under a certain length. We have a "Pro Tips" section later on that has an unlimited character length for further info. 2. The "Vibe" section is focused on setting expectations accurately. Volunteers on Golden sign up a 2nd time 4x as often as other platforms, and one of the reasons (the main one being that our NPO partners are awesome is obviously the biggest) is that we have tailored the "Vibe" section to ensure that volunteers know what they're getting in to. 3. Time Section - I think I understand this to mean that you have openings for volunteers to come in whenever they want? If so, that's fantastic. We've designed the formatting for partners who have more strict schedules, but I'd love your feedback to make it better. If you're up to it, you can reach me at steve@goldenvolunteer.com. We very much appreciate you taking the time to reach us. Growing up, I did a considerable amount of volunteer work, but over the last 10 years, it has become harder and harder to find easy opportunities to donate a few hours of time to a good cause each month. Well, Problem solved! I really love how this app presents local organized volunteer events - so easy to round up a few friends and head down to the community garden. Hugely helpful and fulfilling, and I’m excited to see what other features they build! 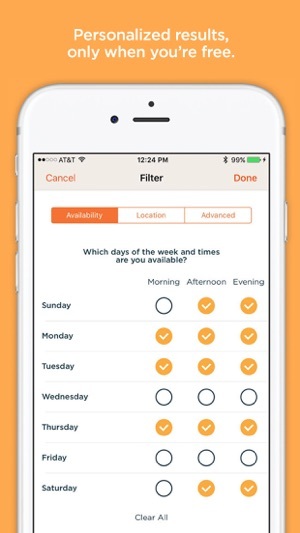 Been searching for a volunteering app that simplifies the process (doesn’t just add more steps) and finally found it! 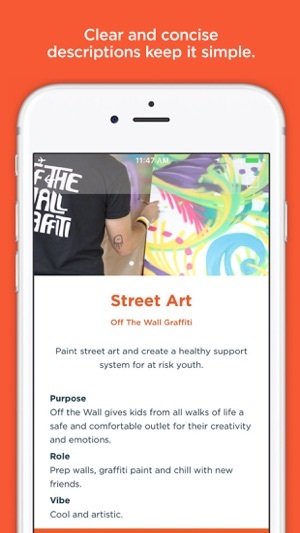 This app takes all the hassle out of volunteering so you can spend more time doing what you love than on the computer trying to figure out how to do it! 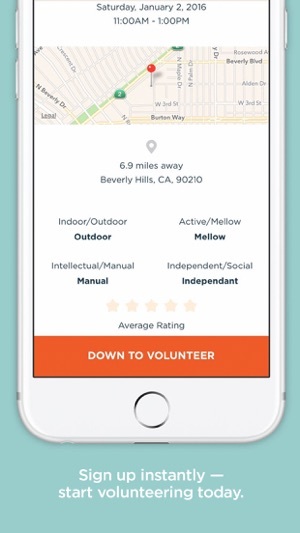 Anyone who loves volunteering or wants to give it a shot should get this app!